How Late Is Too Late To Foreclose? | The Law Office of Emil Fleysher, P.A. How Late Is Too Late To Foreclose? | The Law Office of Emil Fleysher, P.A. 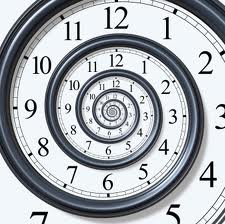 Home Blog Foreclosure How Late Is Too Late To Foreclose? How Late Is Too Late To Foreclose? The Florida Supreme Court has been asked to step in and provide a unified statute of limitations. Florida has a five year statute of limitations for mortgage foreclosures. This means that a foreclosure lawsuit can be filed within five years by the lender if a borrower defaults on his or her payments. But this leaves the question of whether the clock restarts if there is a case dismissal or if the time is still running from the original default. These questions have yet to be answered, but they are getting closer to a definitive response as the Florida Supreme Court should be providing an answer during this upcoming year. During one case where the foreclosure was dismissed by the court, it was stated that they could refile establishing a new default date even if the original default happened more than five years ago. Under the “continuing default” theory, the dismissal canceled the acceleration of the loan so that the payments would continue to be due every month and the loan could be reaccelerated following a new default. In another case that was filed a short time after the first one, the court went further and stated that this “continuing default” theory also expanded to those lenders who have moved for a voluntary dismissal. However, the latest case that was discussed on December 2014 had a completely different result. The court sharply disagreed stating that although the case was dismissed by the court, it “did not by itself negate, invalidate or otherwise decelerate the lender’s acceleration of the debt in the initial action.” After the dismissal the bank made no attempts to collect the unpaid mortgage, therefore when they went back to file for a second foreclosure action the court denied them the foreclosure baring them by the statute of limitations. Due to the conflict of the difference of opinion by each for these cases, the Florida Supreme Court has been called in to revise the law and come up with a unanimous decision. If you have questions about Foreclosure, Loan Modification, Bankruptcy, Short Sale, or other alternatives, please feel free to call my office at 888-886-0020, send an e-mail to emil@fleysherlaw.com, or complete the contact form below.